We have a huge number of marquee tents, available in different sizes and perfect for any event or weather. Whenever you choose our tent hire Kwazulu-Natal services, you are assured that our tents will bring out the elegance of your event making it memorable to all your guests. Our tents are also 100% waterproof and capable of withstanding winds and rains – which means you don’t have to worry about the weather spoiling your special day. Our hardworking team provides delivery and setup and assemble all products to necessary safety regulations. You can contact us at any time for advance bookings and at short notice – we are certain we have the perfect tent for you. We stock different types of tents from traditional double-pole marquees to a selection of stylish Bedouin tents as well as the elegant and affordable gazebos for hire. For all your marquee tent hire needs in Kwazulu-Natal, feel free to get in touch with our enthusiastic team of experts. 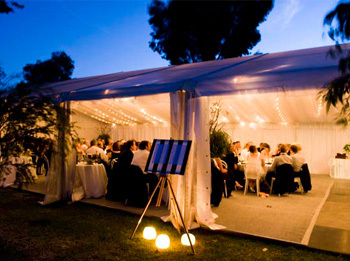 We provide tents for all events including weddings, parties, fairs, expos and public functions. With us, you will get good value for money and beautiful setting for any occasion. Talk to us today and experience the difference. – call 031 100 1905.